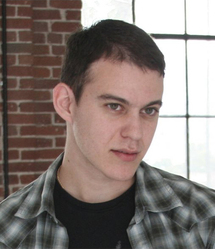 Jason is a game designer and voice actor living in sunny Los Angeles, California. He is best known for his roles in League of Legends, Dangan Ronpa, and Dynasty Warriors. He is the lead designer at Iridium Studios, creators of both Before the Echo and There Came an Echo. He graduated from the University of Florida with dual degrees in both Electrical and Computer Engineering. He is also eminently charming, and thinks that big sunglasses look silly.